How to create buzz and excitement in the 100+ year old trading card industry. Everybody is familiar with traditional trading cards, and industry leaders struggle to differentiate their lines from the other product available in the marketplace. Upper Deck and Americhip partnered to develop a truly innovative new product that will revolutionize the trading card industry. 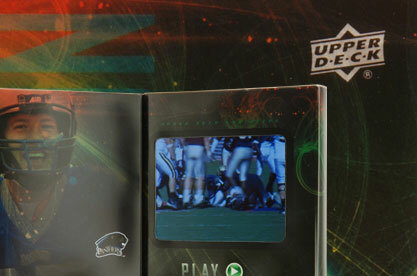 Staying within the required 2.5” x 3.5” card footprint, Americhip’s electronics and packaging engineers found a way to incorporate Americhip’s patented Video in Print® screen directly into a trading card. 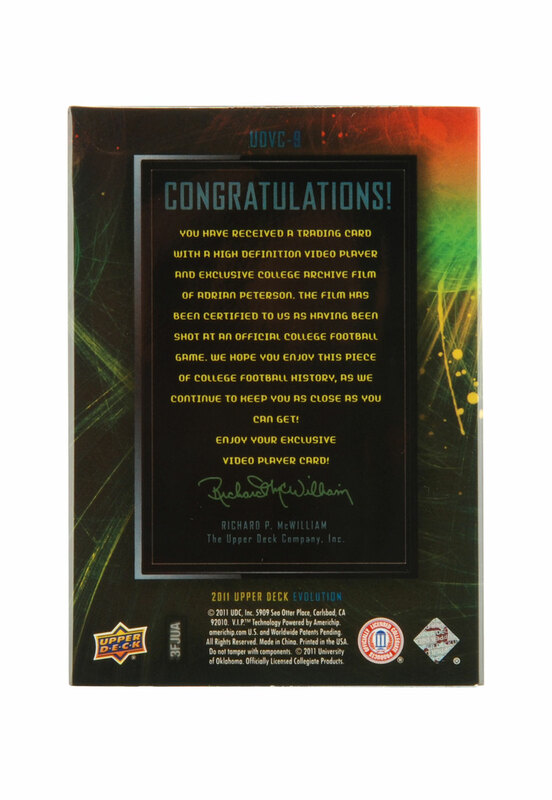 Aptly named “Evolution” by Upper Deck, these amazingly sleek new VIP Cards deliver excitement and a whole new interactive experience for trading card fans. 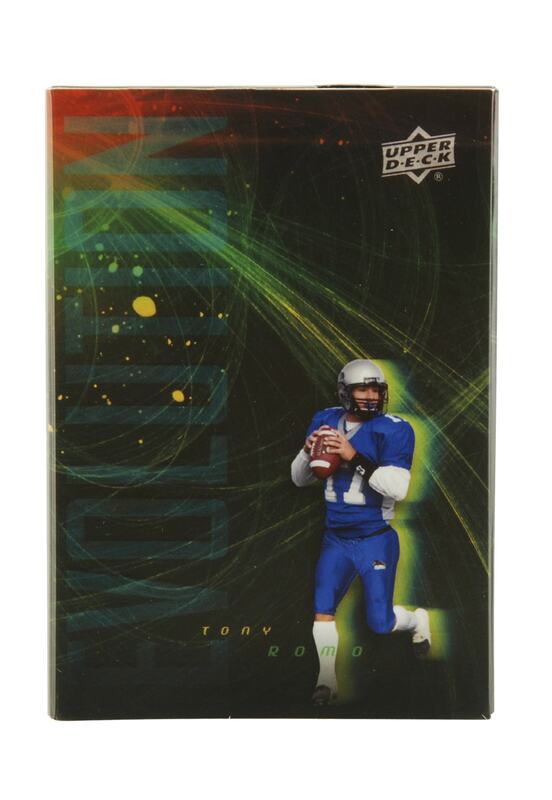 The cards feature eight professional football players including Tony Romo, Patrick Willis and Adrian Peterson. 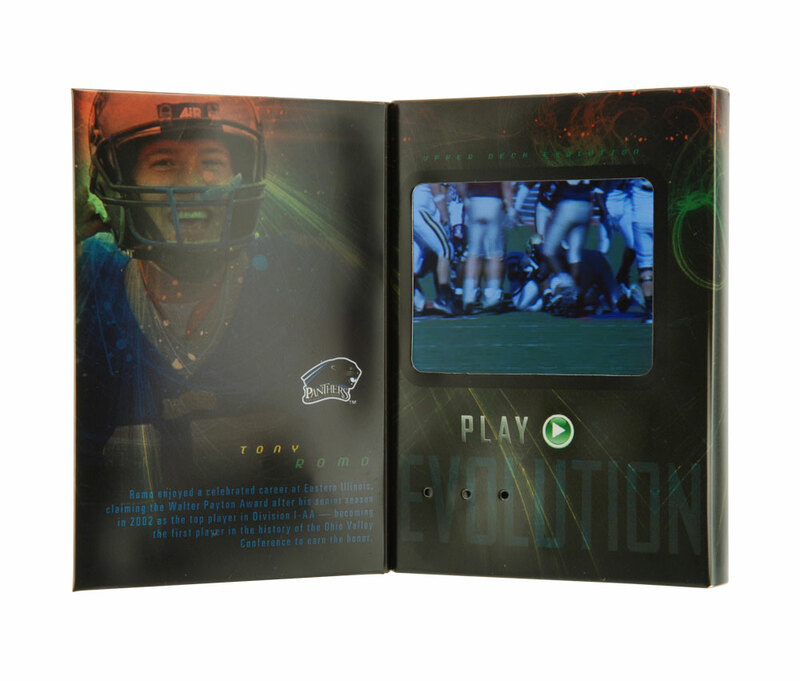 The Video in Print “Evolution” Trading Cards are creating huge buzz in the industry. 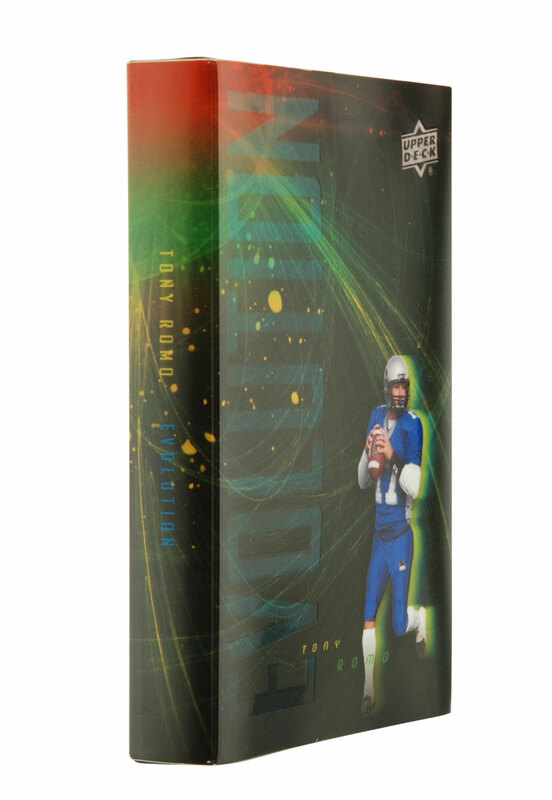 Even prior to the release, television, newspapers and blogs have been excitedly trumpeting this new breakthrough in the trading card industry.